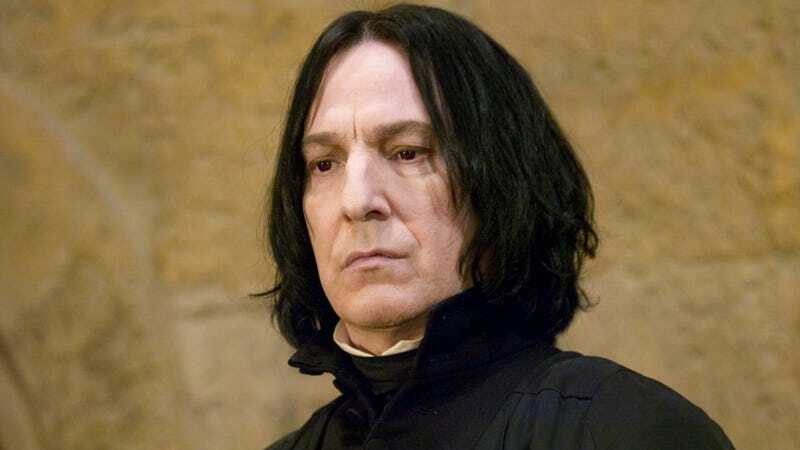 Even Snape from Harry Potter Can Be "Cute"
Alan Rickman, the actor who plays Severus Snape in the Harry Potter movies, is one handsome man. He isn't, however, what I would call "cute". But what if he wants to be cute? Well, there's an app for that. In Japan (and other places, too, I imagine), there are smartphone apps that make your eyes look bigger and your skin look paler. Pale skin has been traditionally prized in Japan as a sign of feminine beauty. Big, bright eyes are thought to be cute—hence, why you also seem them on endless anime characters. Sticker picture machines have used similar image altering tech in Japanese arcades for years now...to varying degrees of success. Below, you can see how a Snape figurine looks when its photo is snapped with one of those cute 'em up apps. Alan Rickman, I guess, was not available to test this out? The above image was, of course, uploaded as a gag to show off how silly these apps can be. It was retweeted nearly 13,000 times when it was first hit earlier this spring. And if the difference isn't clear enough (it's pretty damn clear), here's another beauty app being used with a ketchup drawn face on a rice omelet. Ten points for rice omelets!